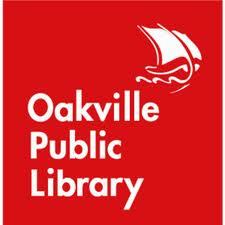 The storytime program was presented at the Oakville Public Library by Justine Gerroir. I am excited to report that today marked one of the first classes that I had felt really confident and comfortable using the iPad in a storytime setting. I had a mother come up to be at the end of the program to describe how “impressed” she was with the use of technology in storytime. Moo Baa La La La! Hello everybody and clap your hands, clap your hands today! Hello everybody and stomp your feet, stomp your feet today! Repeat for : Jump up and down! The iPad projected the story on a screen behind me while I read. I was positioned in front of the screen with the iPad balanced on my lap. I was still able to maintain eye contact with the children and was able to engage in fingerplay (how many monkeys left?? 4..3..2..1), and engage in story retelling “what did the Dr. say? ?” The children lined up as close as the could to see the story projected. Posted on January 25, 2013, in Apps, iPad, Story Time and tagged Oakville Public LIbrary. Bookmark the permalink. 2 Comments. Love this! Thank you so much for sharing how you included the IPad. I am really wanting to try this but am not sure what I need ~ besides my IPAd ~ to make it happen. Any suggestions? I am checking out all your links and starting a storytime list. 🙂 Thanks! I’m glad it’s helpful! We’re working on making all the storytime plans more easily accessible. I use an Apple TV to mirror everything on my ipad onto a screen or TV. how many kids do you usually get?